On Mar. 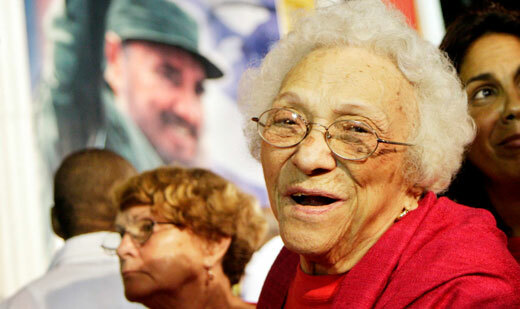 9, Cuba and the world lost a remarkable revolutionary figure, Melba Hernandez Rey, age 93. The cause of death was complications of diabetes. Melba Hernandez was born in Las Cruces in 1921, and trained as an attorney at the University of Havana, graduating in 1943. 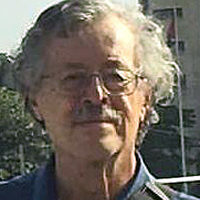 Her family had been involved in the struggle for Cuba’s liberation from Spanish colonial rule, so it is not surprising that she threw herself unhesitatingly into the struggle against one of Cuba’s worst 20th century despots, Fulgencio Batista. On July 26, Melba Hernandez, along with Haydee Santamaria, was one of the women who participated actively in attack on the Moncada Barracks in Santiago, under the leadership of Fidel Castro. The attack failed, and Melba Hernandez was imprisoned along with others in the women’s prison in Guanajay. Far from being warned off further revolutionary activity, upon her release Melba immediately returned to the struggle, and was instrumental in assuring the publication of Fidel Castro’s famous courtroom speech “History will Absolve Me”, one of the most important documents of the Cuban Revolution. She traveled to Mexico along with Fidel and other amnestied prisoners, and continued to work in the leadership of what became the July 26th Movement, along with Fidel, Ernesto “Che” Guevara and her future husband, Jesus Montane, who died in 1999. After the triumph of the Revolution on January 1, 1959, Melba Hernandez was one of the founders of the reconstituted Communist Party of Cuba, for which she carried out many important tasks. She was an elected member of the Cuban “People’s Power” parliament from 1976 to 1986 and was elected again in 1993. She also served as president of the Cuban Committee in Solidarity with South Vietnam, and later with the Committee in Solidarity with Vietnam, Cambodia and Laos. She was part of the Presidium of the World Peace Council, and Secretary General of OSPAAAL, the Organization of Solidarity with the Peoples of Asia, Africa and Latin America. She also served as Cuban ambassador to Vietnam and Cambodia (then Kampuchea), among many posts. Melba Hernandez was one of a constellation of brilliant Cuban women revolutionaries that included, besides herself, Haydee Santamaria, Celia Sanchez and Vilma Espin, the late wife of Cuban President Raul Castro. Though they have passed from the scene, they leave a glorious record in all areas of the struggle for a better world, and for socialism, and for the rights of women everywhere.